"The lessons in your magazine are simply remarkable. You are doing much to promote the art of Japanese gardening." Rock is used in nearly every sukiya-style garden. Some gardens feature rock as the main element, but most Japanese gardens use it in supporting roles as functional stones, pathways, edge stones, or landscape boulders. Rather than being "rock gardens" in the Western sense, Japanese gardens generally use rock in subtle ways to evoke the qualities of the natural landscape. GEOLOGY Most Japanese gardens strive to evoke patterns seen in the natural landscape. In this endeavor the material of rock has an unparalleled ability to make a geological statement. 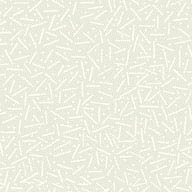 These JOJG articles go back to the route source and examine basic geology and natural geological patterns. FUNCTIONAL STONES Known as yaku-ishi in Japanese, "functional stones" are the most important rocks in Japanese gardens. There are at least two different types of yaku-ishi. These articles examine functional stones and their design roles. WATERSIDE EDGE ROCKS Erosion occurs wherever water and soil meet in the natural landscape. The soil is washed away, leaving exposed rock at the edges of rivers, lakes, and oceans. 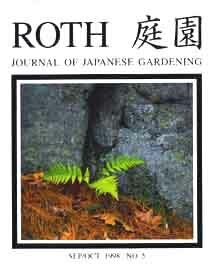 These JOJG articles examine the used of waterside edge rocks in Japanese gardens. LANDSCAPE BOULDERS Japanese gardens often feature large boulders that are sunk into berms and used for scenic effect. These articles examine different techniques for using rocks in ornamental and naturalistic settings. STONE SETTING TECHNIQUES In Japan, stone setting is serious business. These JOJG articles talk about the physical techniques required to handle stone and position it properly. Some articles discuss quarries and the stone industry, providing insight on how to purchase stone and have it delivered to your site. JAPANESE ROCK GARDENS Almost all Japanese gardens can be defined as "rock gardens," but one style of Japanese garden is particularly famous for its bold yet simple expression of the quality of stone. These articles examine the rock garden style known as karesansui. In English these types of gardens are known as Japanese dry gardens or dry streams.